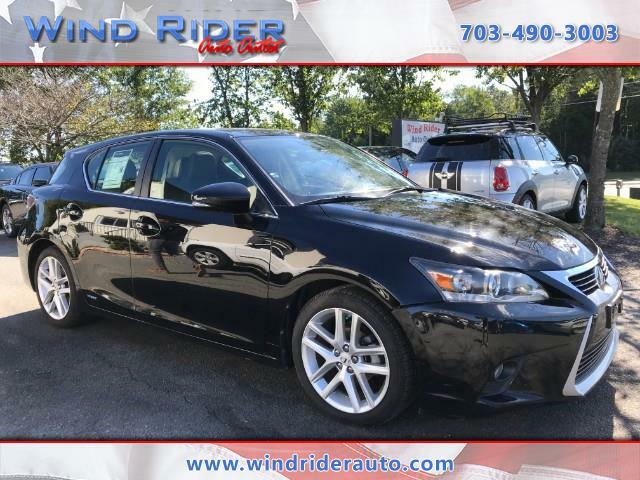 2014 LEXUS CT 200H HYBRID!! *RECENTLY PASSED VIRGINIA SAFETY INSPECTION* *TWO ONWER* *CARFAX CERTIFIED: NO ACCIDENTS REPORTED* 8 SERVICE RECORDS ON THE FREE HISTORY REPORT INCLUDING AT 96K MILES THE OIL AND FILTER WERE CHANGED. AT 62K MILES THE TRANSMISSION FLUID WAS CHANGED, FRONT AXLES REPLACED/REPAIRED, AND LEFT AXLE REPLACED. IT HAS HEATED LEATHER SEATS AS WELL AS A SUNROOF. A/C BLOWS COLD. RUNS WELL. DON'T MISS OUT ON THIS GREAT OFFER! CALL US TODAY!